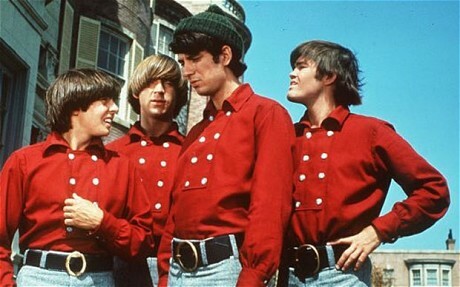 We’ve just heard Davy Jones, the lead singer of ’60s band The Monkees has died of a heart attack at the age of 66. Though his acting career actually began at the age of 11, he shot to fame in the mid sixties when he was cast in the heart-throb role in The Monkees, America’s attempt to create their own version of The Beatles via a television show about a fictitious band. Despite criticism for being a ‘blatant rip-off’, The Monkees gained a lot of popularity and so transitioned from a ‘fake’ band to a real one, with hits including The Last Train to Clarksville and Daydream Believer. The television series itself I think has been badly overlooked. It is oh-so-very-sixties, zany, full of one-liners, regularly breaks the fourth wall, and exudes a sense of familiarity which is rare to find on television today. Plus who doesn’t love a series where it’s normal for a fight to break out between a band and some gypsies in the middle of a fancy dinner party all because someone wants to steal ‘The Maltese Vulture’. Jones never stopped performing, either on stage, on screen, with The Monkees or as an individual. He even had performances scheduled for next month. It’s a sad and unexpected loss.